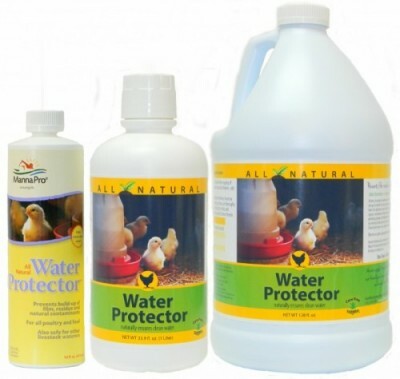 Poultry Water Protector Provides clean, clear and healthy water and is effective on plastic and galvanized steel waters’. Essential enzymes provide birds with added digestive enzymes better food absorption. Clean water is essential in maintaining healthy birds. Treats: One ounce treats one gallon.